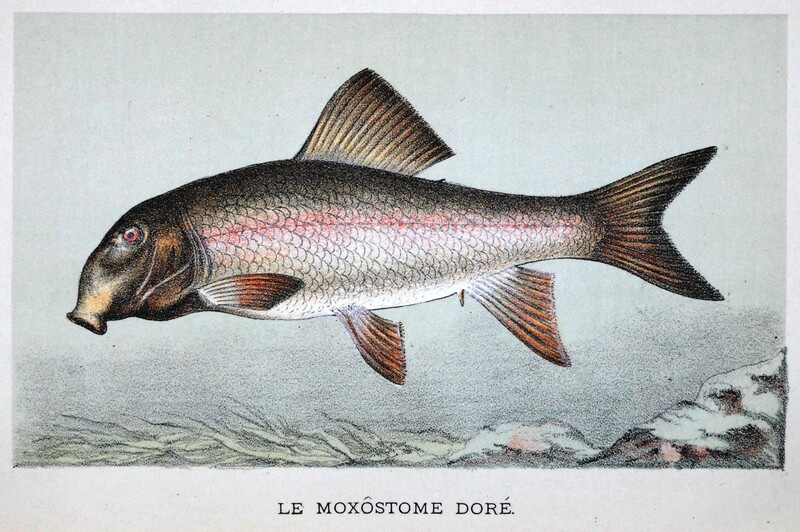 I’ve been working on several posts for the moxostoma blog, but none seemed worthy of being the first. This old sucker is just the thing to break that barrier. From Les poissons d’eau douce du Canada (1897) by A. N. Montpetit. More to come from this book. Tagged art, old books, suckers. « Redhorse prints finally available!